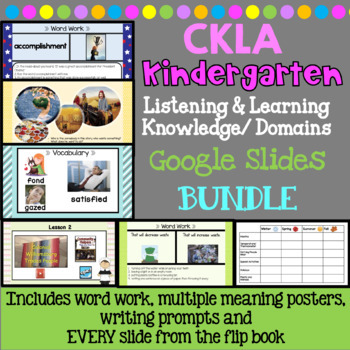 This is a bundle for Listening and Learning Kindergarten. These are PowerPoint lessons that include digital resources, vocabulary, word work and more. Also included are the vocabulary cards and posters for each domain. I use these when I teach and they are so helpful!